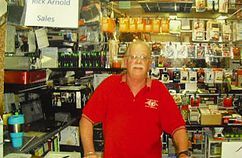 You may have seen Rick behind the counter selling you your favorite musical items. We are already getting great feedback with his Bass Guitar experience!!!! Want to learn the Bass, come on in and see Rick and he will get you thumpin in no time!!!!! Contact Southern Thumb to schedule your lesson with Rick today!